Stephenson Mansell Group (SMG) has built a reputation as one of Australia’s pre-eminent executive coaching, mentoring and leadership development firms. SMG was formed in 2005 from the merger of The Stephenson Partnership and The Mansell Group; both organisations having operated separately since 1998, making us Australia's longest-established executive development firm. Leveraging academic rigour, deep behavioural change expertise and commercial experience, SMG develops leaders, teams and individuals, enabling them to achieve better personal and business results. Over more than a decade, we have coached and mentored upwards of 5000 executives in more than 500 organisations nationally and internationally. Indeed, we have worked with senior leaders in more than 30 of Australia’s Top 50 Companies. The SMG team comprises qualified, experienced, mature executives with high levels of self-awareness and integrity, encompassing a broad range of personal and professional interests. Since inception, we have continually refined and honed our skills, methodologies and processes so that our service offering anticipates and meets changing market needs. This is especially appropriate in today’s VUCA business environment. Working under a professional services structure, SMG has a strong commitment to professional development, ensuring that we maintain the highest levels of accreditation and service delivery standards. SMG’s programs focus on tactical and strategic business issues and tangible results at all stages of executive development. We provide organisations and individual executives with the opportunity to define and address specific development needs confidentially and in a way that sustains positive change. An extensive needs analysis forms the foundation for all our programs, ensuring outcomes are clearly articulated and agreed up-front. Individual and organisation-wide case management, progress reporting and program evaluation further contribute significantly to the success of our programs. “The Art of Leadership”, our tagline, recognises that mastering executive leadership is an art - a skill and discipline requiring ongoing intellectual capital, diligent application and careful evaluation. Our vision is to remain at the forefront of executive development and leadership - refining and enhancing capabilities, services and intellectual capital - with a clear focus on enabling executives to attain advanced levels of personal and professional performance in alignment with organisational priorities. SMG operates in accordance with the highest level of ethical conduct. The firm’s equity partners, Virginia Mansell and Joe Fischer, are bound respectively by the Codes of Ethics of the Australian Psychological Society (via Virginia’s Professional Membership as a Registered Psychologist), and the Australian Human Resources Society (of which Joe is a Fellow). Our commitment to ethical behaviour flows through SMG. We keep abreast of all relevant ethical standards through our membership of Standards Australia Coaching Guidelines Working Group. Significantly, SMG was a member of the Working Committee which prepared Australia's first guide to coaching in organisations, published in June 2011. We are the longest-established among Australia’s leading executive coaching, mentoring and leadership development firms. Ability to respond to the markets changing needs. SMG maintains strong relationships with business leaders to keep abreast of market developments. Our strategic alliances provide global insights and information on best practice in executive development – further reinforcing our ability to keep clients informed of the latest advances. We are one of the few leadership development practices in Australia that operates as a professional services firm. This ensures we hold our coaching and mentoring faculty and management to the highest industry standards, underpinned by rigorous academic frameworks, quality control, case management and highly experienced and qualified program directors. Our coaches, mentors and leadership team are all practitioners with extensive experience and qualifications in business and leadership development. Our clients thus work with coaching and mentoring professionals who have a genuine understanding of their needs. Importantly, we can bring a level of objective empathy to all coaching and mentoring engagements, combined with commercial acumen. The use of blended business interventions (including coaching and customised workshops) provides high-impact learning to actively embed sustained behavioural change. Our methodology doesn’t rely solely on coaching and mentoring. A fundamental strength of our practice is the ability of our team to move fluidly between multiple modalities as determined by client needs. This flexibility, coupled with proven expertise in the fields of organisational behaviour and cultural change, positions us at the peak, not only of coaching and mentoring, but full-service leadership development. We are here to provide optimal support to our clients in all areas of organisational demand. A defining characteristic of our service offering is our commitment to maintaining global best practice through partnering with international leaders in the coaching and leadership development arena. SMG maintains a substantial library of evidence-based leadership materials and models, sourced from thought leaders such as The Center for Creative Leadership (CCL), with whom we have a strong affiliation. CCL has been ranked by the 'Financial Times' as among the world's Top 10 overall providers of executive education. Established in 1970, CCL helps clients worldwide to cultivate creative leadership through an array of programs, products and services. CCL has three campuses in the US, a European campus based in Brussels and an Asia-Pacific campus based in Singapore. Currently, a number of our coach facilitators are accredited in CCL’s suite of 360° products. Our partnerships enable SMG to offer clients state-of-the art programs and interventions to meet specific leadership and organisational development needs. We are entrusted with considerable confidential information which we treat with complete respect. Our growth stems from building solid client relationships and fostering advocacy amongst our coachees. As Managing Director of the Mansell Group from 1998-2005, Virginia built a significant and profitable business. In 2005, she acquired and became Managing Director of the expanded Stephenson Mansell Group (SMG) before assuming her now role as Chairman. At SMG, Virginia oversees and delivers a number of key client relationships, directs SMG’s training and professional development program, leads SMG’s business development strategy and is responsible for development of the firm’s intellectual property. An expert in executive coaching, mentoring and leadership, Virginia is also the author of The Focused Executive, an important resource for CEOs and senior executives determined to perform at their very best. The 2nd Edition is now available. In addition to her own commercial experience as a senior business leader, Virginia brings to her role over 30 years of experience in human resource management, counselling psychology, psychotherapy and organisational consulting. 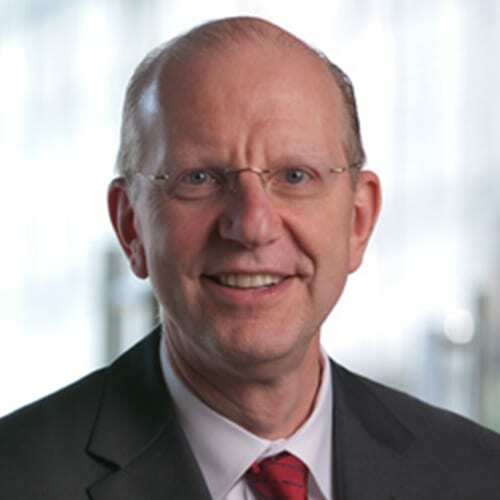 Joe Fischer joined the Stephenson Mansell Group in 2007 as an Executive Coach and Program Facilitator. In January 2008 Joe became General Manager and a Director of the firm. In 2010, he became an Equity Partner, in 2012, Executive Director and in 2018, Senior Partner. 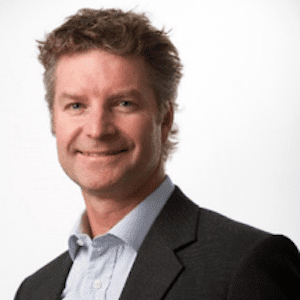 With Stephenson Mansell Group’s expansion in Asia and the establishment of the Centre for Integral Leadership Asia, Joe was conjointly appointed CIL Asia’s Chief Executive Officer in 2016. Joe is an experienced international corporate executive, Executive Coach, Mentor and Facilitator. With a strong commercial background and impressive pedigree, Joe has partnered with numerous CEO’s, Directors, senior executives and business owners, as well as their teams on all aspects of human capital practice. Mehul is a sought-after consultant, facilitator, trainer, and executive coach in the areas of leadership development and employee engagement, with a career spanning three decades and four continents. After nearly a decade in the field as an award-winning broadcast journalist with the BBC, Mehul transferred his communication skills to a global learning and development organisation in New York Bringing thought-leadership to all his client engagements, Mehul is a prolific business writer with published material such as the global white papers, the Mindset of the Millennial, The CX Factor, and Decoding the DNA of Sales Leadership. 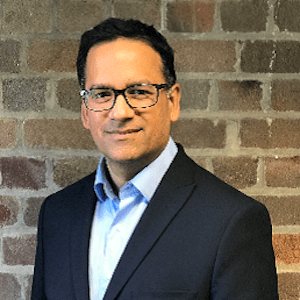 Amongst many, Mehul has implemented successful interventions for a wide range of clients in the United States, Europe, Asia, and Australia, including ANZ Bank, CBA, JP Morgan, Telstra, and the Australian Olympic team to name just a few. Richard is an experienced coach, consultant and facilitator, devoted to fostering the potential and performance of the leaders he supports. Richard’s coaching is informed by psychological principles and is founded upon an evidence-based approach. With a professional career spanning three decades, Richard brings a breadth of experience to his work. As a human performance consultant with Accenture, Richard helped many client organisations to enable change associated with large scale business and IT transformations. He established the Accenture Learning Outsourcing business in Australia and managed end-to-end training operations for Telstra for Five years. Richard also has experience running businesses as Chief Operating Officer for Simble and Stephenson Mansell Group. He managed all aspects of the business including finance, HR, customer services and product development. As a leadership coach, Richard has a passion for helping people unlock their potential. He is ideally suited to work with leaders and teams who are looking to take the next step to maximise their performance. 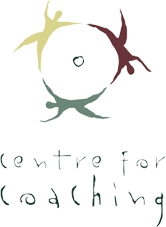 He brings a personalised and collaborative approach to coaching which seeks to empower the individual or team to have autonomy around their own development. We pride ourselves on being a thought-leader in the field of coaching and leadership development. 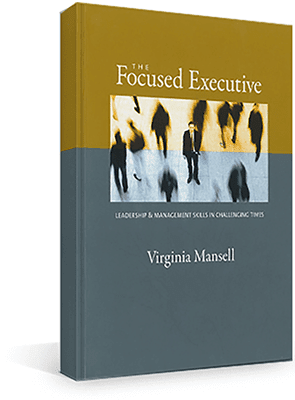 Our Executive Director, Virginia Mansell, has authored a critically-acclaimed book on coaching and leadership "The Focused Executive" (2014) and is a sought-after speaker at leadership symposia and forums across the globe. In addition, SMG was invited to provide practitioner input for the Coaching Masters Degree programme at the University of Sydney at its 10 year review. Our international affiliations mean SMG can offer clients state-of-the art programs and business interventions to meet specific leadership and organisational development needs. "A lot has been written about organisational transformation and leadership skills. Douglas McEncroe has had a long and successful career consulting on both. He has now delivered his ideas in a very useful book, using the interesting and clever analogy of slow cooking. In my career in stockbroking and as a company director I have seen successful-sounding strategies fail to be implemented, usually due to the lack of depth in leadership. 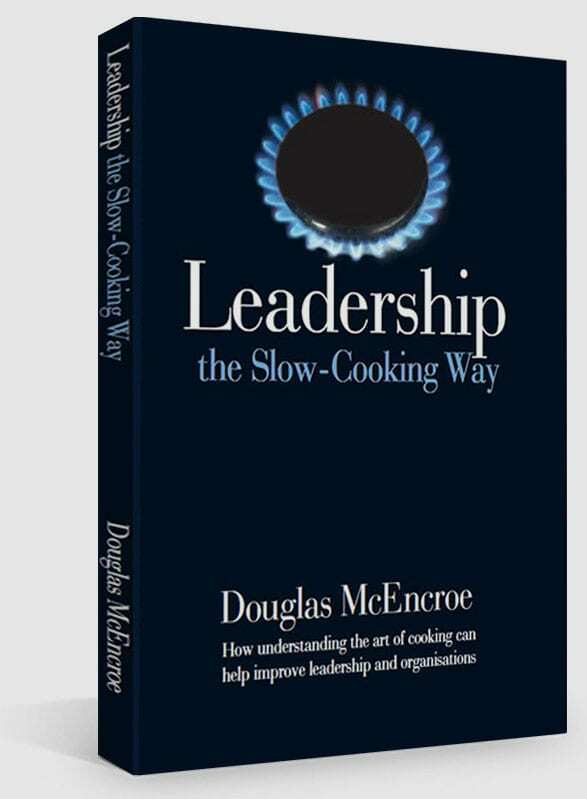 I commend this book as I think it makes a very worthwhile contribution to help improve leadership in organisations."